Here is a festive trifle that will carry you through the holidays – it’s a great do ahead party dessert with show-stopping results. Buttermilk poundcake is blanketed with layers of cranberry compote, orange infused mascarpone cream, and candied walnuts. 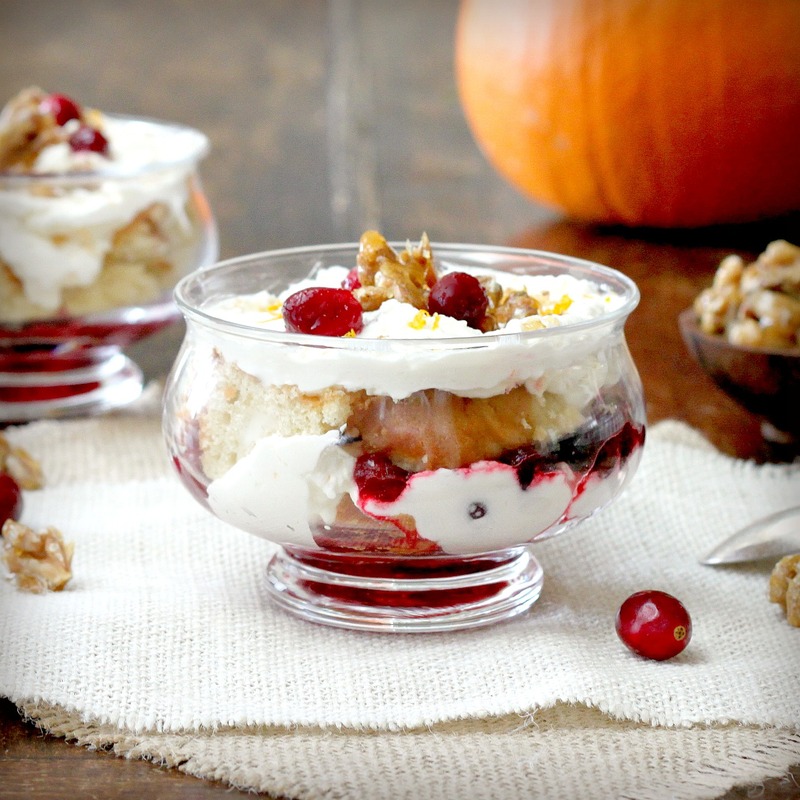 Each bite is light and airy with the pop of sweet-tart cranberries and the crunch of cinnamon dusted nuts, so be sure to get a little bit of everything in each spoonful. The best part is this dessert can be assembled a day in advance, which leaves you plenty of time to take care of that turkey. While there are several components to this trifle, each one may be prepared in advance, and each one is stand alone good, so feel free to use them on their own. Serve in a trifle bowl or individual goblets. Makes 8 to 10 servings. Preheat oven to 325 F. (170 C.) Butter a 9-by-5 inch loaf pan. Line the bottom with parchment and butter the parchment. Whisk the flour, baking soda, and salt in a bowl and set aside. Beat the sugar and butter in the bowl of an electric mixer until light and fluffy, about 3 minutes. Add the eggs, one at a time, beating after each addition. Stir in the vanilla. Add half of the flour, then the buttermilk, then the remaining flour, mixing well to combine after each addition. Pour into the loaf pan. Bake in the oven until a wooden skewer inserted in the center comes clean, about 55 minutes. Transfer to a rack and cool 10 minutes. Invert the cake onto a rack and cool completely. The pound cake may be prepared up to 2 days in advance. Wrap with plastic and refrigerate until use. Combine all of the ingredients in a medium saucepan over medium heat. Cook, stirring occasionally, until the cranberries pop and release their juices. Remove from heat and cool completely. Refrigerate, covered, for up to 4 days. Preheat the oven to 350°F. Arrange the walnuts on a baking tray and bake 10 minutes. Heat the sugar over medium heat in a small saucepan. As soon as it begins to dissolve, stir with a wooden spoon until the sugar is liquid and amber colored. Add the walnuts and stir to coat. Add the salt and cinnamon. 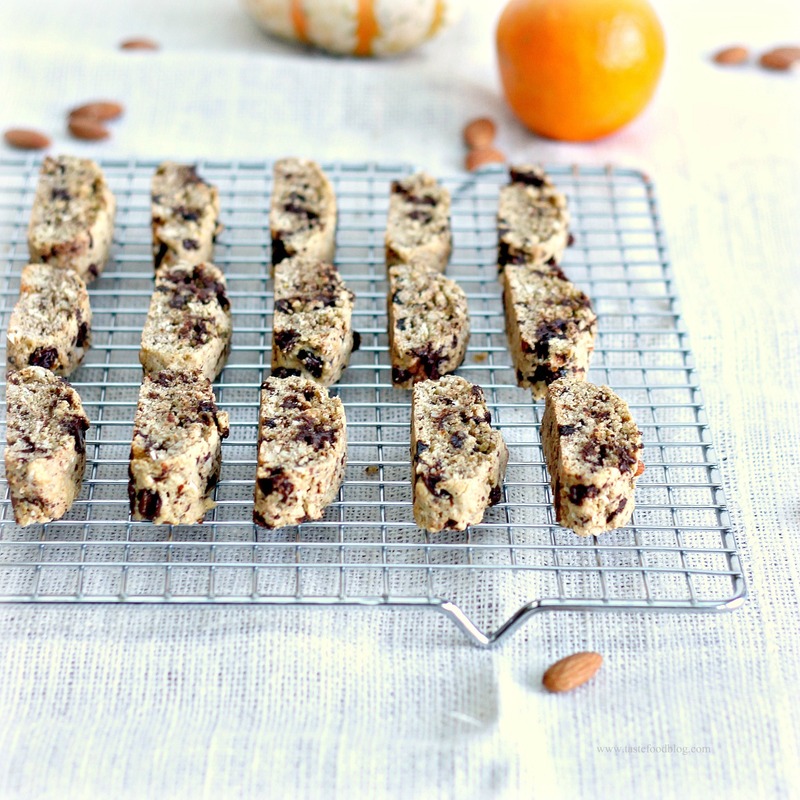 Remove from the heat and pour the walnuts onto a baking tray lined with parchment or a silpac sheet. Cool completely then break into coarse pieces. Store at room temperature in an air-tight container for up to 1 week. 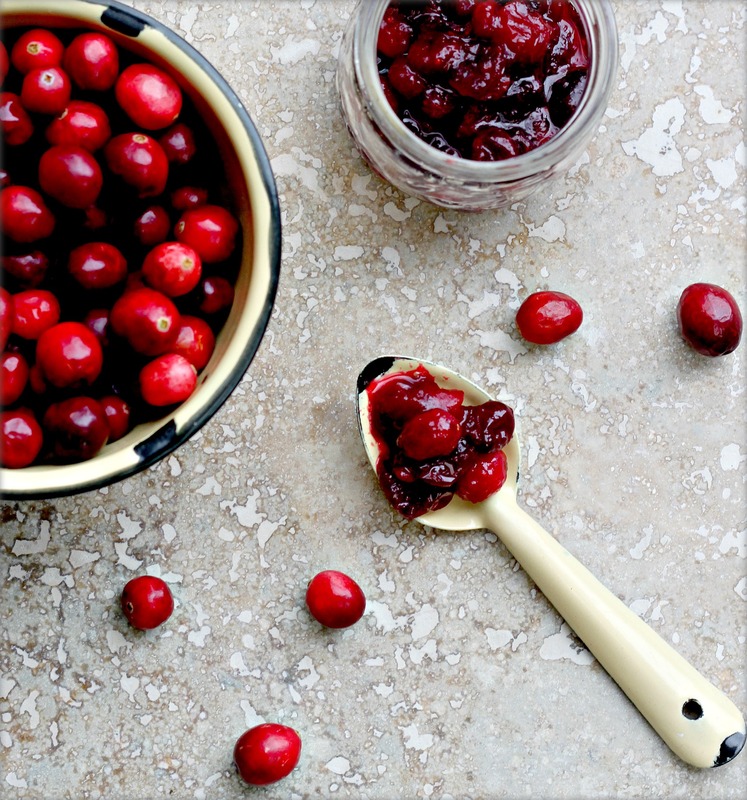 Reserve a few whole cranberries from the compote for garnish. Pour a thin layer of cranberry compote into the bottom of the trifle dish or individual serving glasses. Cut the pound cake into 3/4-inch cubes. Arrange a layer of pound cake over the compote. Top with a layer of cream. Sprinkle a few of the nuts over the cream. Repeat the layering process, finishing with a layer of cream and nuts. 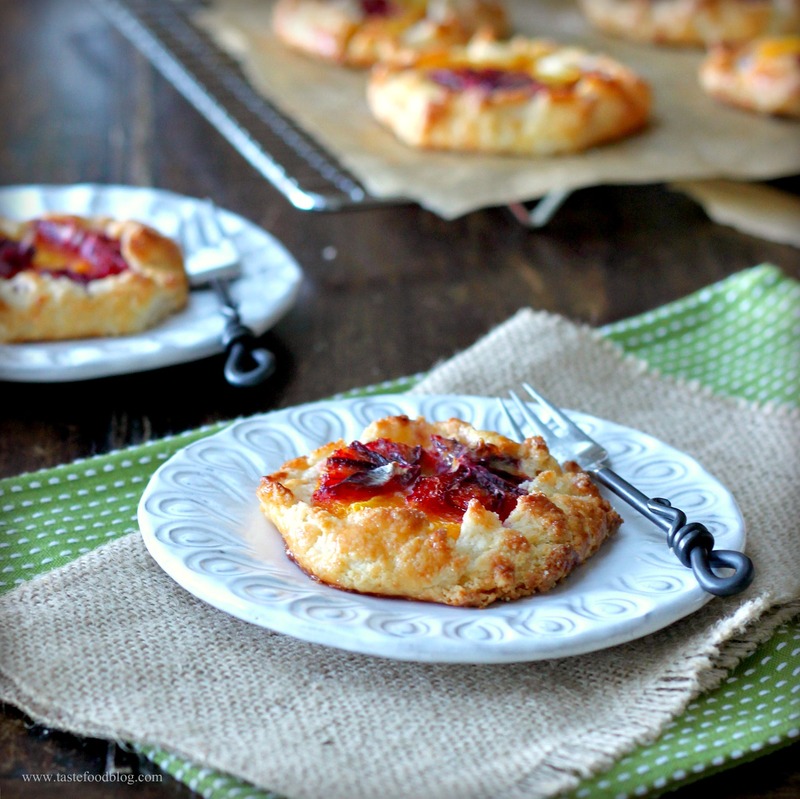 Garnish with reserved cranberries and finely grated orange zest. Serve immediately or refrigerate, covered, up to 24 hours before serving. 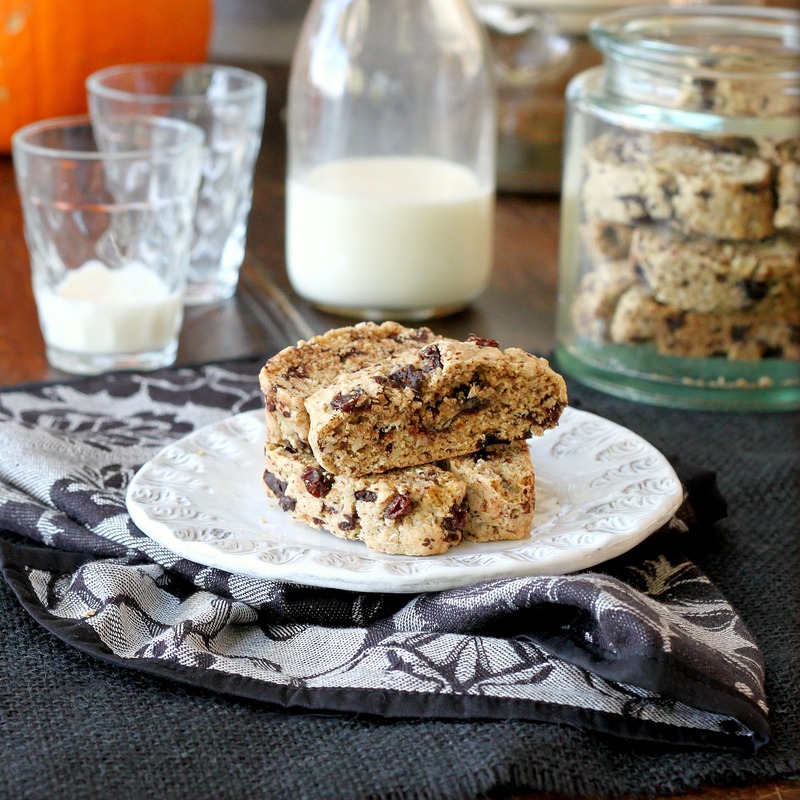 Optional: Brush each layer of pound cake with Cointreau or Gran Marnier for an adult version of this dessert. Just because it’s cold outside doesn’t mean we can’t have a salad. In fact, when the temperature drops, it’s even more important to eat vitamin and nutrient-rich vegetables. We might be craving stews and braises in the warmth of the kitchen, yet there is still a place for a salad on the menu. Fall salads are more robust than their summer counterparts. What they might lack for in heat, they make up in substance. Sturdy earthy greens, such as spinach, chicories, kale or radicchio, move into the salad bowl. Nuts and seeds add nutrients and heft. 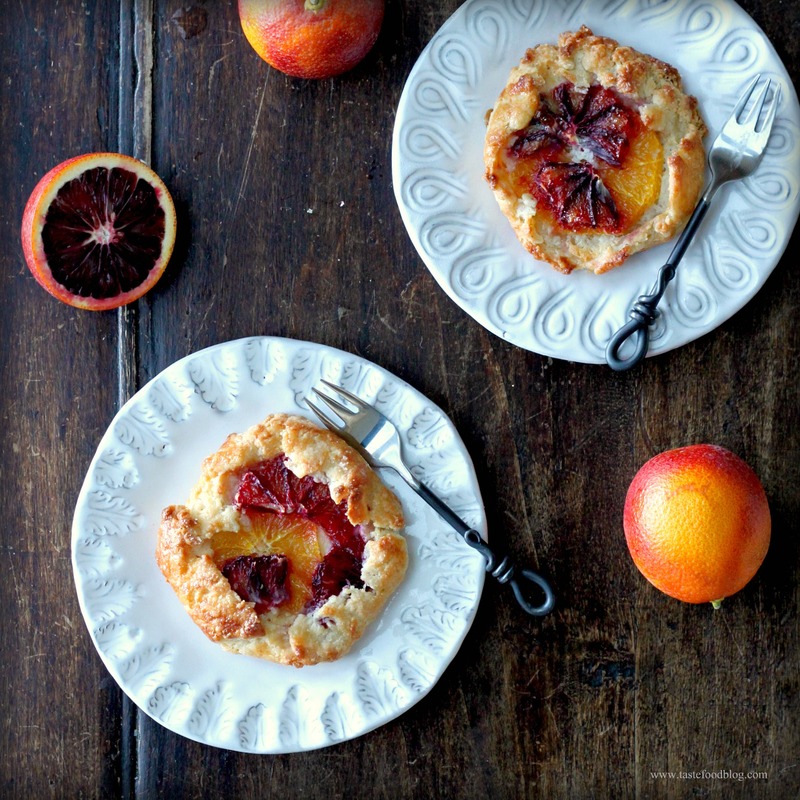 Dried fruit or seasonal pears, apples, persimmons and pomegranates add sweetness and color. Dressings become more rich and intense, with mustard, aged balsamic vinegar and garlic. Cheese and salume crown the salad, bringing a satisfying umami quality, as well as salt and extra protein. The variations are numerous, but you can be sure the results will be delicious and perfectly in season. Whisk all of the ingredients except the olive oil in a small bowl. Add the oil in a steady stream, whisking constantly, until emulsified. Taste for seasoning. Heat oven to 350 F. Arrange the prosciutto in one layer on a baking sheet lined with parchment. Bake in oven until crisp, about 20 minutes. Remove and cool. Break in to shards. 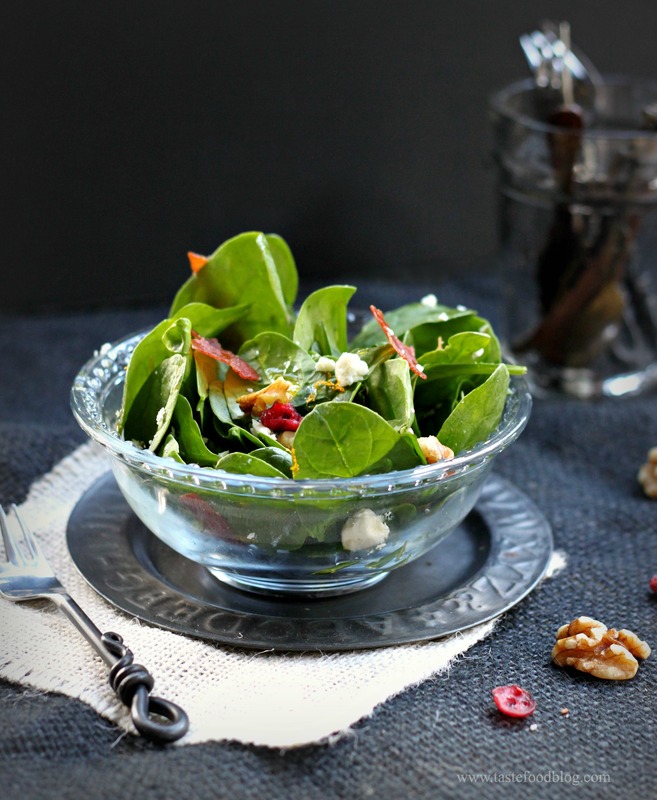 Place the spinach, walnuts and cranberries in a large bowl. Drizzle with half of the dressing. Toss to combine. Add more dressing to desired taste and toss again. Arrange on serving plates. Crumble the goat cheese over the spinach, then scatter the prosciutto shards over the salad. Sprinkle with orange zest. Inspiration comes in many packages. 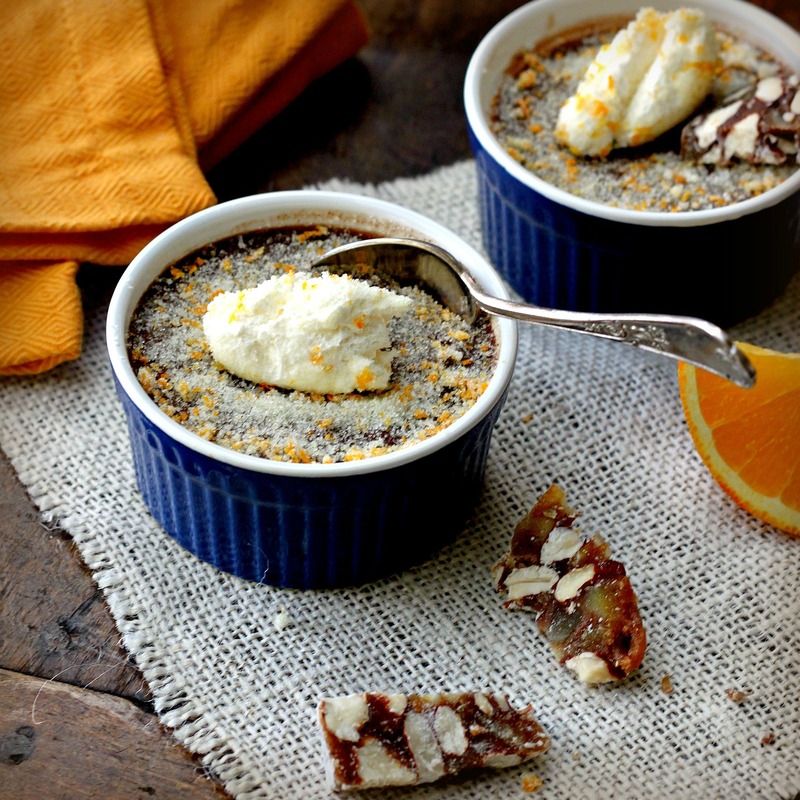 These chocolate orange pots de creme are the result of a baking mistake. I set out to make them for a recent dinner party, however I forgot to cover the ramekins while they baked in the oven. Covering the ramekins allows the chocolate to set without a thicker top crust forming and detracting from a smooth and creamy consistency throughout the entire pudding. My pots de creme were smooth and creamy on the inside, all right, but the top had a firmer mottled texture. The taste was the same, but not the look. So, I decided to cover the surface with a granular topping which would provide a pleasing and distracting crunch while hiding my mistake. I rubbed the zest of an orange into a bowl of sugar. The sugar helped to separate the grains of zest and suspend them in granular animation, while the orange added a colorful tinge to the sugar. To serve, I garnished each ramekin with a dollop of whipped cream and showered the cream and chocolate with the orange sugar. To top it off I sprinkled a few grains of fleur de sel over each. It was delicious. The orange sugar added a confectionary crunch before dissolving in the mouth, leaving a lingering wisp of sea salt. I love it when mistakes like this happen. Begin 1-2 days before serving. Makes enough for 6 (3/4 cup) ramekins or 12 espresso cup servings. Preheat oven to 325 F. (170 C.) Heat the cream and milk in a saucepan over medium heat until it reaches a simmer. Remove from heat. Whisk in chocolate until melted and smooth. Whisk the egg yolks and sugar together in a large bowl until blended. Add the cream in a steady stream, whisking to combine. Whisk in Cointreau. Strain through a fine meshed sieve into another bowl. Cool 5 minutes. Pour into ramekins or espresso cups. Place the ramekins in a baking pan. Fill the pan with boiling water half way up the ramekins. Cover ramekins with foil and transfer to oven. Bake until set, but still a little wobbly when jiggled, about 55 minutes for ramekins and 45 minutes for espresso cups. Remove from water bath and remove foil. Cool completely. Cover and refrigerate overnight. Beat the cream in a bowl of an electric mixer until traces of the whisk appear. Add sugar and Gran Marnier. Continue to beat until peaks form. Combine zest and sugar in a small bowl. Rub with fingers to evenly distribute the zest. 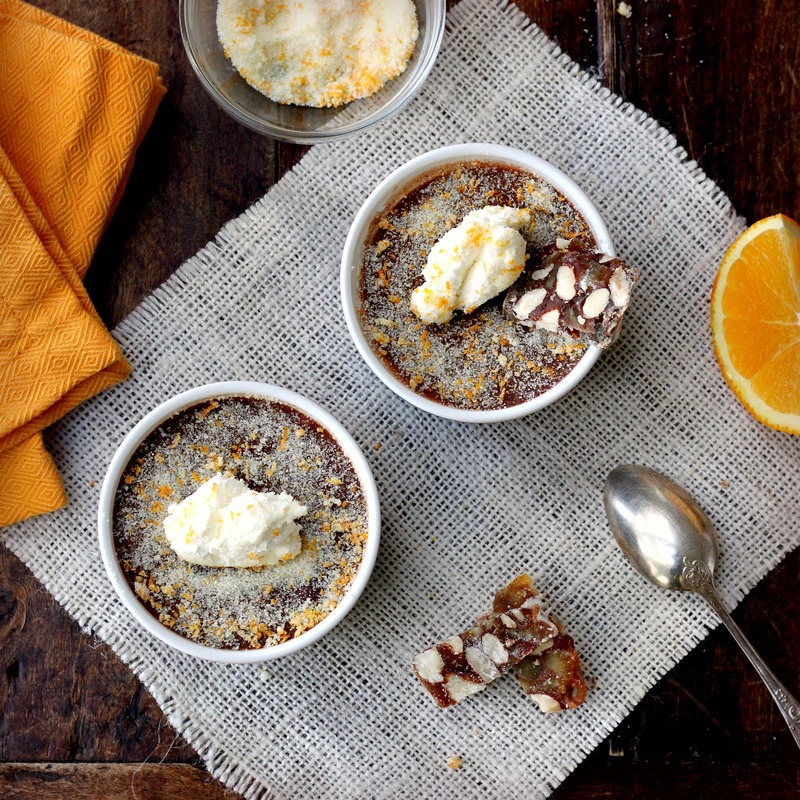 To serve, sprinkle each ramekin evely with the orange sugar. Spoon a dollop of cream over the center. Sprinkle with additional sugar and a few grains of fleur de sel. The egg yolks made me do it. Do you ever have an ingredient you feel compelled to use, and end up building an entire recipe around the singular ingredient? 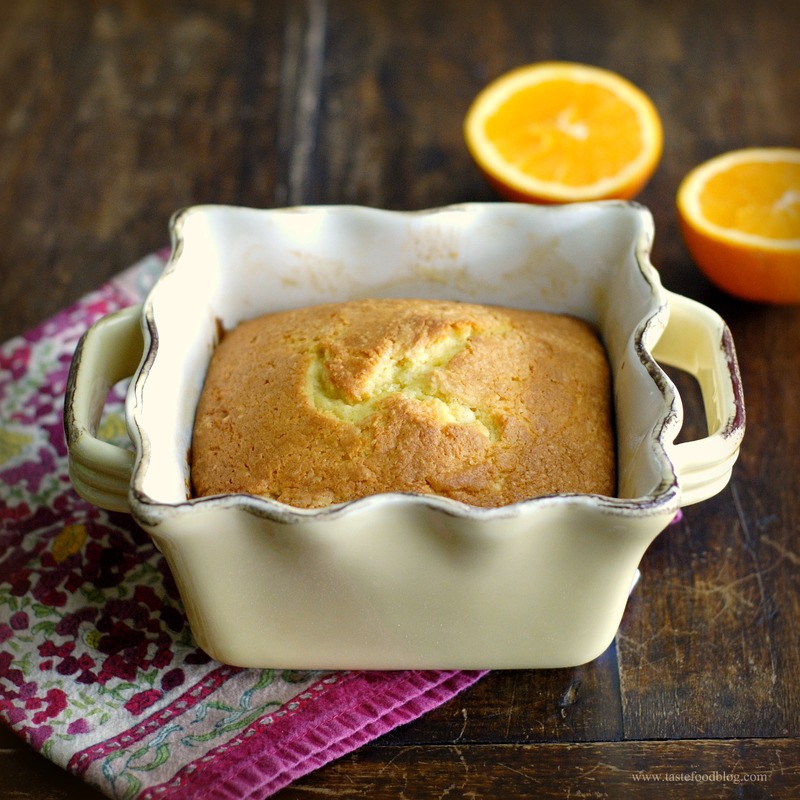 That’s how I came about this recipe for an Orange Spiced Pound Cake. I had 6 egg yolks sitting forlornly in my refrigerator, cast aside when I needed just as many egg whites to create a salt crust for a whole-baked salmon. I couldn’t throw them away, so I decided to make a pound cake. It was a bit of an experiment, because normally I use 3 whole eggs in a pound cake, and this time I substituted 6 yolks instead. Anticipating a yellow-tinged cake enhanced by the yolks, I decided to run with it. 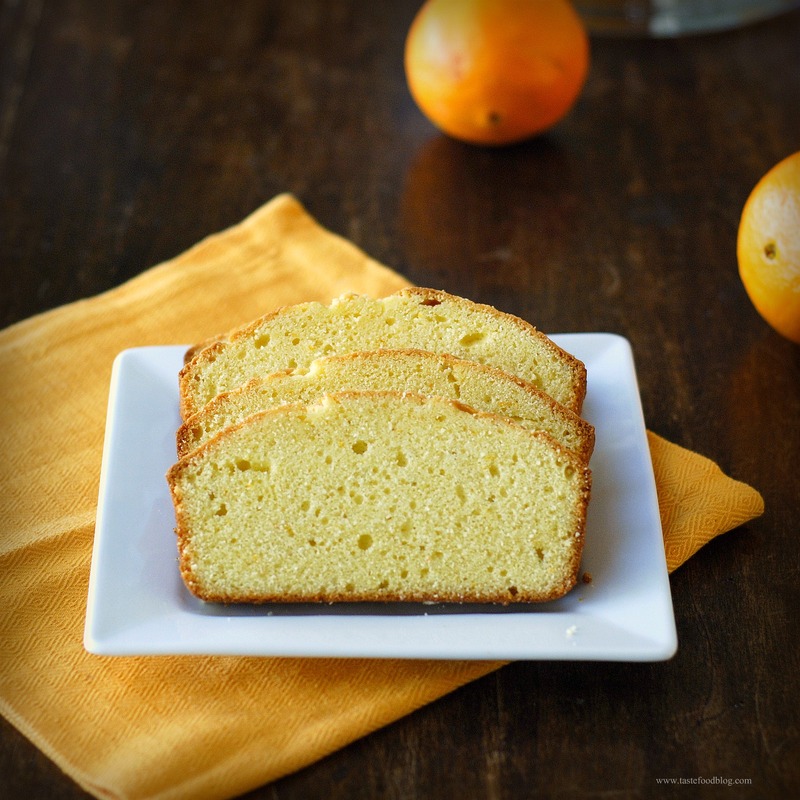 Instead of my go-to lemon, I added orange juice and zest which would be visually asserted by the rich cake color. Since oranges are sweeter and rounder than puckery lemons, I added a teaspoon of coriander to ground the orange flavor. The result was a softly sweet and light cake, redolent of orange with a faint hint of earthy spice. Best of all? It had a rich and beautiful color. Preheat oven to 350 F. (180 C.) Butter a cake or loaf pan. Line bottom with parchment and butter parchment. Dust with flour. Combine sugar and butter in bowl of electric mixer. Beat until light and fluffy. Beat egg yolks in a separate bowl until thick and lightened. Whisk into the sugar and butter.